The first season of The Shannara Chronicles is ending next week, and showrunners Al Gough and Miles Millar already have season two in mind. The two recently spoke with Collider about the series’ upcoming season one finale and their plans for season two of the MTV TV show. 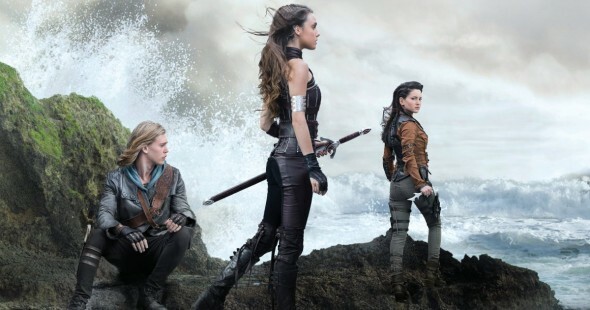 The Shannara Chronicles stars Austin Butler, Poppy Drayton, and Ivana Baquero as three unlikely heroes on a quest to defeat a demonic army. The season one finale of The Shannara Chronicles airs next Tuesday, March 1st, at 10 p.m. ET/PT. What do you think? Have you been watching the first season of The Shannara Chronicles? Do you want a second season? Yes. I am waiting for season two of the Shannara chronicles. When???? PLEASE BRING IT BACK!!! This is just the beginning! There are so many books for this series. It hasn’t even begun to scratch the surface! We want it to continue all the way through the whole series of books! PLEASE!!!!!!!!! Please bring shannara cheonicles back for 2 season. Love the show. Tottallyyyy this show slays! I heard there will come a season two and I hope there will be some romance between Eretria and Amberlee. Oh yes. I have read every single book Terry Brooks has written on the world of ShannaraThere should be more seasons of this for two reasons 1) season one ends about halfway through the Elfstones of shannara story from the book the story isn’t finished yet. 2) Terry Brooks has written many books set in the world of shannara you can’t just make one season and leave all the fans of the books frustrated.